With the advancement of technology and need for a more detailed and complicated prints on t-shirts, the print industry has moved from the traditional screen printing and embroidery to more digital direct-to-garment printing. Although the popularity of screen printing and embroidery is not going out of style, the DTG printing industry on the other hand is getting stronger for its fast delivery and printing high-quality artworks. 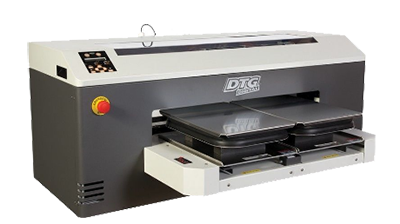 What is the best DTG printing machine? 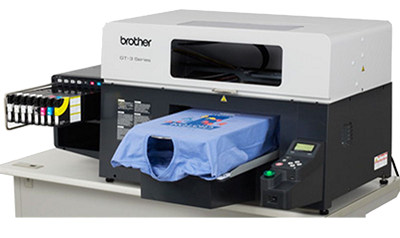 A professional DTG printing machine can cost between $10,000 to $500,000. 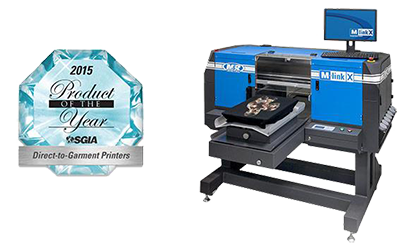 Today, the best DTG printer on the market is the M&R M-Link-X which costs nearly $75,000. It produces some of the lowest cost per print in the industry with high-quality print on t-shirts. The second best is the Kornit Breeze which costs nearly $65,000. Although expensive, it produces a phenomenal quality of the image on a t-shirt with a print area of 14 x 19 inch. It prints whites in 30-45 seconds and blacks in less than a minute. It delivers the industry’s lowest cost per print with ink-saving print modes and bulk ink supply. However, the cost doesn’t include additional crates, shipping or installation charges. 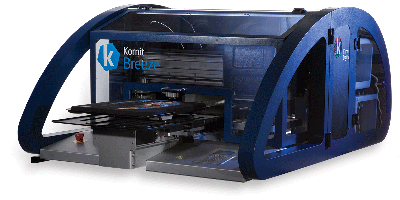 Kornit Breeze is designed for small to medium-sized commercial digital t-shirt printing businesses. It produces a high-quality image faster than most of its competitors. For fast production, it provides one-pass white and CMYK printing. Businesses can print on multiple types of fabric and on both light and dark coloured garments. This is the industrial DTG printer from Ricoh and is the latest since its acquisition of Anajet. The printer has a smaller footprint with a larger printable image area of 356×457 mm. Next, it can print a light-colored garment as fast as in upto 27 seconds. Using water-based inks the printer can product photo-quality output on apparel. The GTX is the latest industrial DTG printer from Brother that features faster print speeds, advanced print heads and vibrant color output. The printer also comes with an advanced and updated software for easier output. Although it’s a table-top unit, it does come with a custom stand, which provides an open bottom design for easier humidification. The model is well known for its ability to print two t-shirts side by side at a time. This makes the printing process faster, at the same time producing high-quality images on the t-shirt. This is also helpful when you are printing two shirts of different size but with the same design. The printing can easily scale up and down to accommodate various t-shirt sizes. It is definitely a smaller printer that has a quieter operation which is perfect for home-based print businesses. However, it’s worth noting that the Epson UltraChrome DG ink is a bit on the expensive side. It offers optional print up to 16 x 20 inch with a large platen. It comes with an easy-to-use garment creator software and is Oeko-Tex certified. Whereas, the maintenance of the printer is also on the expensive side. It is the perfect machine to put on as a kiosk as it offers simple and efficient printing process. 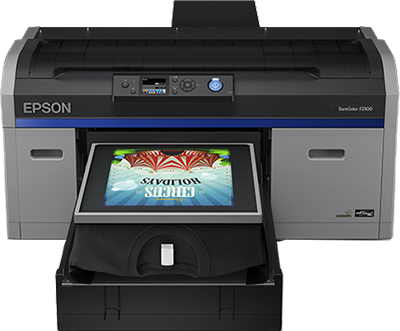 The printer is designed for a home-based print-shop but is a real workhorse that can accommodate hundreds of t-shirt prints per day. The print quality is amazing and has 8 print heads with 4 white print heads. It prints pretty fast at about 25 t-shirts per hour. However, the ink needs at least 40 seconds to cure. It does come with the GTX Graphics Labs software from Brother, but misses some features which can be compensated with a third-party software. Some of the notable printers mentioned here are legends on their own rights. Some of them may have been discontinued, but you may be able to purchase from other sources or buy a used one for your new DTG venture. * The prices mentioned above are close to its original cost. 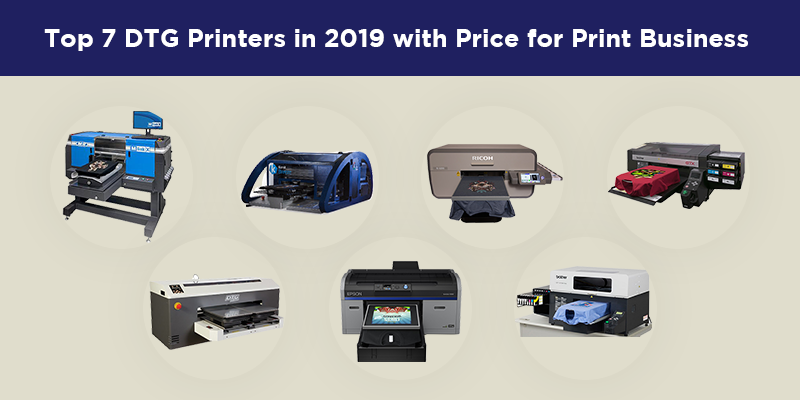 However, for a used printer, the prices could be 1/3rd of the original price. The first step to your t-shirt printing using DTG is pre-treatment. It’s like adding a primer before printing to help colors adhere better to the fabric. It is also a necessary step when tough fabrics are involved such as canvas and denim. You can pretreat your garment by hand spraying manually. Usually, the pre-treatment spray comes with the printer itself or you can buy from other stores. Spray the pre-treatment onto the garment evenly in a smooth back and forth motion. You could also pretreat your t-shirts using automatic pretreatment machines. A machine would obviously spray an even layer of pretreatment on to your garment and also lets you control the amount of pretreatment you can spray. One of the biggest advantages of using a machine is that it saves times, which is paramount if you are running a big store. With DTG printing the artworks have to be clean, and of high resolution. You might have to use a professional graphics software such as CorelDRAW, or Adobe Illustrator. The quality of the image will make a big impact on the end result. You should create your own print quality standards to make sure that the artwork is as vibrant on the t-shirt as it was on the computer screen. Many would print out the artwork on a desktop inkjet printer to decide the quality of the artwork. If it came out well on the paper, it is more likely to come out good on the t-shirt as well. A big part of printing t-shirt demands to have good quality artwork. There are various ways to get your artwork such as hiring a graphic designer, buying artworks from third-party sources or you could design it yourself. Both hiring designer and buying designs are expensive that designing by yourself. However, it requires you to have a good understanding and experience with professional software such as Illustrator and Photoshop. If you don’t have any experience, you might have to invest initially in training which has a steep learning curve. To print on the garment you would need a RIP (Raster Image Processor) software. This software is a printing utility that translates the image you feed into the type of image that your DTG printer can process. Some modern DTG printers do come with their own RIP software and for some, you can have to purchase from third-party companies. The software gives you more control and generates others essential such as a white ink underbase for dark garments, amount of white color, color matching, ink cost calculation, image placement etc. Therefore, a RIP software also doubles up as a color management software, job management software and a cost estimator. Now that your print is done, you will need to cure the t-shirt to bond the ink with the fabric. It also ensures maximum washability. Typically cure time ranges between 2 to 3 minutes at 160 degrees C. That said, it’s not an easy job to cure your garment as various garments have various curing temperature and time. For some, you will need higher temperatures and shorter time and for some, you need a lower temperature and longer time. The only way to ensure is to have a few tests runs in the beginning and curing them to get the right curing temp and time you need for your garment. You various finishes you can use various curing sheets such as Teflon, embroidery backing, parchment, etc. However, you have to select a good heat press machine for your curing. Although highly, highly unrecommended, I cannot resist but to include this as we got many requests on the topic. 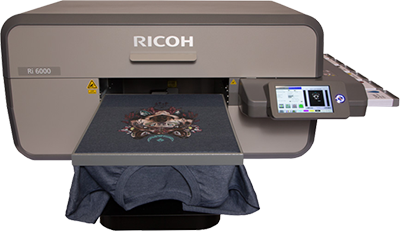 A professional DTG printer can cost more than $10,000 just for a basic setup for a hobbyist. On the other hand, for professional DTG printers, they would not have any problem coughing out over $50,000 to set-up a store. But, for a hobbyist, a $10,000 printer makes little sense. Therefore, we have tried to discover a way to use our regular printers and turn it into a t-shirt printing machine. First off, you will have to take apart a printer of your choice, preferably Epson and take out just the print head and its carriage. You will also need paper feed motor, shaft, power supply. Next, you have to cut the plywoods into pieces which will act as the structure and platen for your DTG printer. At first, you will need 3 pieces, one will go at the base and two to the sides. We recommend cut out a piece of plywood of 11×25 inches and two 5×25 inches. Next, you have to cut the plywoods for the drawer. Cut one piece of 10×25 inch and two pieces of 1×25 inches. Here the side plywoods are mounted on top of the bottom. Next, you have to create a “T” shaped material holder for which you have to cut out one piece of 13×9 inches plywood and another 13×3 inches plywood. Now drill two holes of 13/32 inch into the shell for the shaft to roll the drawer. Make sure that the shaft rolls are straight. Now mount the printer on the drawer and put the belt on the shaft. Next, put your t-shirt holder and you are ready to go. To keep the printer functioning the way it should function, you will have to give it a suitable environment to work with the t-shirt. You will regularly keep a check on the humidity levels, heat, and dust. It is wise to keep your printer in an environment that doesn’t get dramatic temperature changes. Perform a nozzle check every day before printing your t-shirt. This helps to keep your printing and your business in its best performance. If the nozzle is not at its best, it has to be taken care of immediately. Clogs left unattended will become a permanent blockage making your printer unusable. If your printer has an agitator, it will keep stirring the ink to prevent it from settling down. However, if it is not present, you could shake the cartridges periodically and definitely before starting the day. It is wise to do it every day even if you are not using your printer every day. To keep the ink flowing smoothly, you could print a few samples of t-shirts every day or at least once every 3 days. The capping station produces a vacuum near the nozzle plate so that the ink is pumped inside the station. The pressure clears out the nozzles thereby preventing inks to dry out. It should be cleaned with demineralized water or other cleaning fluids.